Imagine an area 34 times the size of New York. Now imagine this area covered ankle-deep in plastic waste — piles of plastic bottles and plastic bags, plastic containers of all sorts for miles and miles, as far as the eye can see. 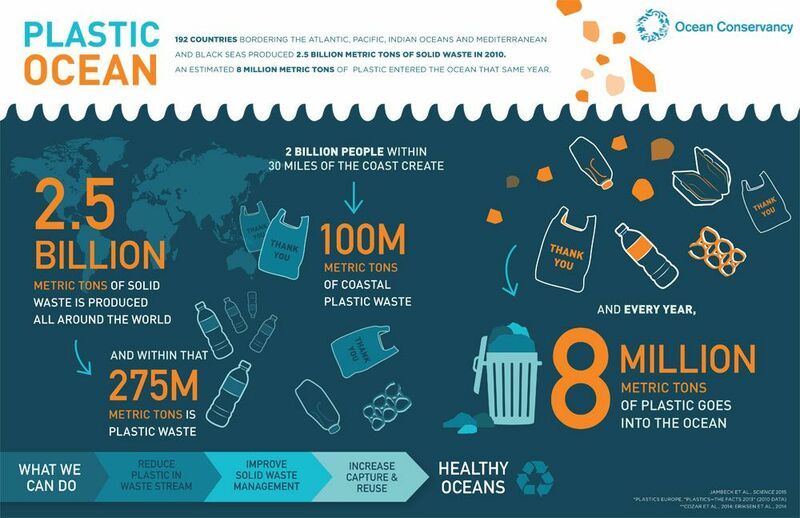 That’s how much plastic waste ends up in our oceans every year. Plastic ― a versatile, durable and inexpensive material ― has in many ways been a boon to humanity, used in everything from food storage, toys, to basic consumer goods. But some of the very traits that have made plastics so popular (they’re cheap, and therefore easy to throw away) have also made them a growing problem in our landfills and oceans. Today, plastics are the number one type of trash found in the sea. Plastic debris makes up around 85 percent of all the trash collected from beaches, waterways and oceans.